Early Transparent Gage is a traditional English gage, but somewhat different from the more common green or yellow gages. It gets its name from the translucent skin and flesh - if you hold a ripe fruit up to the light you can often make out the stone inside. Early Transparent Gage makes a good choice if you want to grow a gage which is not as fussy as the Old Green Gage. 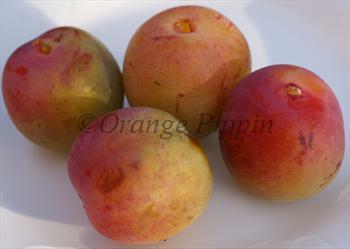 Cropping is good by gage standards (although still light compared with many plums) and it is reasonably reliable. It has the rich sweet gage-like flavour and aroma of a genuine gage, but it is also a good culinary variety producing a well-flavoured straw-coloured jam. 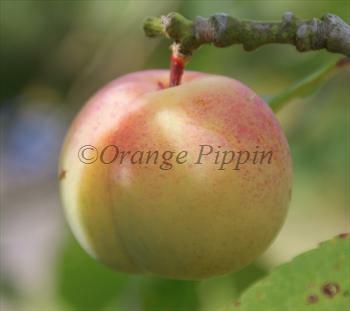 Please fill in the details below and we will let you know when Early Transparent Gage plum trees are back in stock. The flavour of a true gage yet also easy to grow, Oullins Golden Gage is a good first gage tree. Cambridge Gage is a reliable green gage, similar to Old Green Gage, with an excellent flavour. The most widely-grown green gage, Reine Claude de Bavay has the distinctive gage-like flavour. Blossom wilt / Brown rot: Some susceptibility? Early Transparent Gage is in flowering group 3. Early Transparent Gage is self-fertile and does not need a pollination partner, although fruiting may be improved if there is a compatible tree of a different variety nearby. 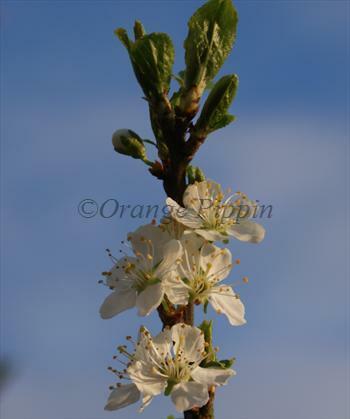 Since it flowers in the middle of the blossom season it can be pollinated by most other plum trees. By gage standards, Early Transparent Gage is quite easy to grow and the tree is a bit more vigourous than most gages. It can be grown in the north of the UK but benefits from a south-facing situation. Early Transparent Gage was raised by the famous Rivers Nursery in Hertfordshire in the 1860s, from an open-pollinated Transparent Gage (Reine Claude Diaphane). It is one of the "diaphanous" gages, on account of its translucent skin and flesh.